The YWCA of Gettysburg & Adams County began as the vision of two sisters, Annie and Irene Danner, who saw the community’s need for such an organization. They were inspired by the national YWCA and willed their estate on Lincoln Square to be used for a YWCA facility. 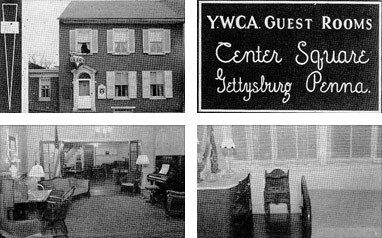 In 1926, the Gettysburg chapter of the YWCA became a formal member of the national organization and was incorporated as such in 1929. In the early years, the Association was composed of several groups, including the Business & Professional Women’s Club and the Girl Reserves. Over the years, the YWCA operated the first area library and operated the USO programs for the area. Always looking to respond to the needs of the county, the YWCA sought to open a family recreational facility. Built on Seminary land, the Y-East facility was dedicated in 1981. In 1997 a second facility, Y-West, was acquired. In 1982, a group of YWCA members—Claudia McCarthy, Jennifer Weaver, Carolyn Nunamaker, and Floss Ray—felt it was imperative to form a group that would assist women who have been victims of domestic violence. Survivors opened its 24-hour hotline at the Lincoln Square office building in 1983. In 1988, Survivors became an independent organization, but the YWCA and Survivors still work together on many initiatives. The YWCA opened a before-and-after-school program for children at Fairfield School District in 1998. This gave parents who work (or have other commitments) the opportunity to place their children in a safe and fun environment. 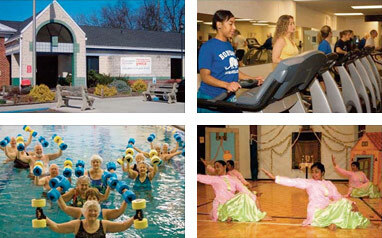 In January 2005, Y-West closed and the Margaret Trew Cline Fitness Center opened at 909 Fairfield Road in July of that year. New administration offices were also built, allowing our child care facilities to expand into the old administration offices. The demand for more child care services increased even more, and in July 2007, the YWCA opened the Child Enrichment Program at Commerce Park. This allowed us to provide care to 113 more children. Over the years, the role and needs of women have changed in our society and accordingly the YWCA has grown and changed as well. Past YWCA local statements have included “obtaining suitable boarding places” and securing women’s “attendance at public worship on the Sabbath.” Today, with a wide range of options available to women and their families, the local statement also reflects the changing role of the YWCA in Adams County.